Welcome to this week's Frugal Friday! First, I want to thank everyone for the birthday love this week! You all made my birthday lovely! Next, I have to be a bit of a Debbie Downer...which I hate to do on the blog. But, I have something that needs addressing about the Frugal Friday linky party. Most of you that link up are wonderful about sticking to "the rules". But there are a few who aren't. I've been pretty lenient about letting those posts remain up because there weren't very many, but I've noticed that there seem to be more and more of them. Because I want Frugal Friday to be a place of inspiration for my readers, I feel like I finally have to address the problem. First, if the post you want to link to the party is really nothing more than a glorified advertisement (for your shop, your own link party, or just your blog), I will remove it. Second, if your post has nothing to do with DIYs, decorating, entertaining, recipes, etc. please refrain from posting it. Frugal Friday posts should inspire my readers with things they can do themselves or give them ideas for projects. This is not a forum to discuss your personal feelings about things. Neither is it a place to link up your vacation pics etc. Those things are great, but they aren't for this party. Please also use common courtesy and link back to The Shabby Nest. I will not remove your post if it doesn't link back, but not linking back shows a lack of blog etiquette. Okay, 'nuff said. I really hate to be negative at all, but since Frugal Friday is such a fun place to visit, I want to keep it that way. I know you all understand. First up, I Design shared her FABULOUS stone wall. I just love this! Such great texture and movement. Clean & Scentsible shared her cute and workable Kitchen Command Center. 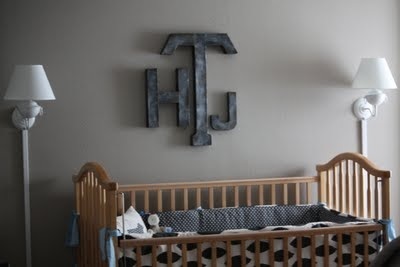 Finally, Dwelling Room Interiors shared a great Aged Metal Letter tutorial. Love these!! Thank you so so much for hosting, Wendy! 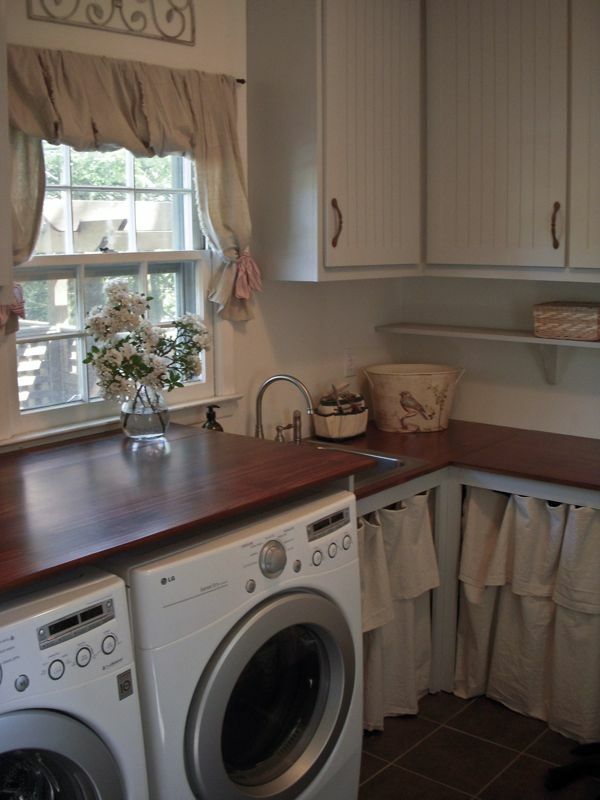 I adore that laundry makeover...oh my goodness, it's prettier than any room in my whole house! ;) Have a great weekend! Thanks for hosting! Hope you have a great Friday! Thanks so much for hosting! Great highlights! I love those aged letters! Thanks so much for being a gracious hostess. I can hardly wait to see everything this week! Wendy- thank you so much for hosting this party each week- I so enjoy looking through the links and being inspired. I haven't linked anything in a while but I did tonight- #61. I hope you're having a wonderful day and happy belated birthday! Thank you for hosting these great weekend link parties. I hope you had a wonderful birthday! Thanks for hosting!! 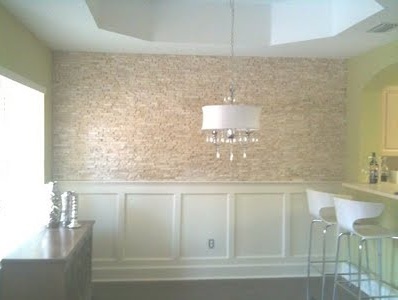 Three faves have to be Sneak Peak, Gray Bar and Accent wall (great idea to wall paper section and frame it! Hey, Wendy! It's been a while since I've been able to link up. So glad to be a part of your party! what a fun party...so happy to be joining this week. Is it my imagination or is everyone particularily clever this week? Wow great features! Thank you for hosting! Happy belated birthday to you. I hope it was wonderful! Have a great weekend. Thanks for highlighting my laundry room Wendy! You got it right - it "almost" makes doing laundry better. Have a great weekend! Thank you for hosting this week! Love that stone wall you featured (and of course that amazing coffered ceiling to go with it!). Hi, thanks for hosting the linky party. I'm linked up, got your button on my blog post, and now I'm off to visit some of the eye candy! Wendy, thank you for hostessing! This is my first time to join. Our mom/daughter blog is new. We trade letters back and forth from Utah to Hawaii. She just moved there. We'd love for you to stop by.